Edward Falco is the author of Sea Island and A Dream with Demons. He is an award-winning writer and poet, and Associate Professor of English at Virgina Polytechnic and State University. 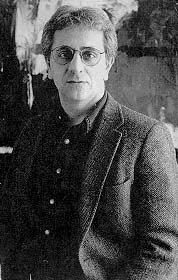 Falco's "The Artist" was recently selected as a 1995 Best American Short Story. Other works include the story collection Acid , winner of the 1995 Richard Sullivan Prize, Plato at Scratch Daniel's & Other Stories (1990), Winter in Florida (1990), and Concert in the Park of Culture (1984). Doug Lawson interviews Edward Falco for The BluePenny Quarterly.